Introduction: Few studies are published on the drug transfer into human breastmilk and it?s possible risks to the infant. Analgesics (nalbuphine) and non steroidal antiinflammatories (ibuprofen, ketoprofen and fenoprofen) are presently popular for therapy of pain, inflammation in nursing mothers. Although, morphine and profenid are allowed during puerperal period, recent studies showed the dangerous effect of codeine. Few data have been published about the use of analgesic after the early post-partum stage. 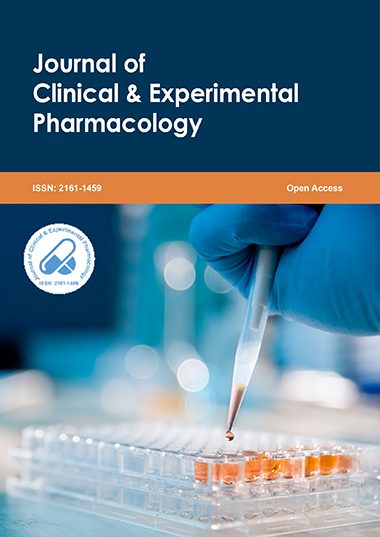 New studies should be made to ensure a safe prescription and to provide a better understanding of the kinetics of ketoprofen, nalbuphine and ibuprofen drug entry into ?mature breastmilk?. Methodology: We conducted a clinical and pharmacokinetic study in France (Antalait study - AOR10127) on the degree of transfer of the medication into human milk to measure ibuprofen?s, ketoprofen?s concentration and to compare their concentrations into breastmilk according to the age of lactation, milk?s fat and protein content. First results : on 15/05/2012, N=30 women were included (n=20 ibuprofen and n= 10 ketoprofen with dose 1012mg/day ?296 and 233mg/day ? 50 respectively). About n=13 samples were collected and the concentration of ibuprofen was 360μg/L ? 160. (fat content mean 3,37g/100mL ? 1,34, protein content 0,728g/100mL ? 0,643). Ibuprofen TID=75μg/kg/day, RID<0,65%, Ketoprofen results are ongoing. Conclusions: Analgesic?s rate measured into human mature milk are lesser to those found into colostrums. Ibuprofen use should be recommended as an analgesic for breastfeeding mothers, even at a late stage of lactation, with a good benefice/risk ratio for the infant. Brune de Villepin has completed her Midwife degree at the age of 23 years from Paris Descartes University. She is working in the Medic-Al network about AOR-10127 Antalait study, as a scientist in a Master degree.